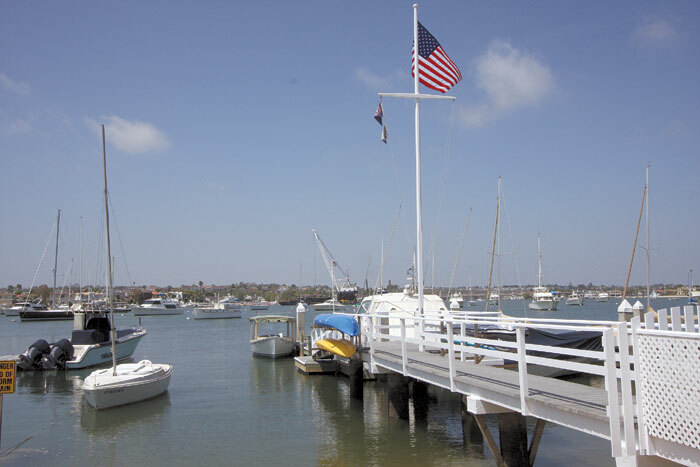 NEWPORT BEACH — The California State Lands Commission granted the city of Newport Beach the right to establish a Harbor Fund, at its June 21 meeting. The commission initially delayed the decision when the Newport Beach Dock Owners Association, a group of citizens and business owners who were behind the Stop the Dock Tax campaign, requested that the commission not approve the creation of this fund. Earlier this year, Newport Beach City Council members asked city staff members to seek consent of the State Lands Commission to create a Newport Harbor capital fund. The fund would capture the incremental increases from the recent tidelands fee adjustments (including newly increased private dock permit fees) and finance capital improvements and maintenance activities within the harbor. The fund would pay for specific capital improvements in the harbor. According to the city, the fund would “accept and appropriate revenue from recent changes to rent schedules in Newport Harbor” with the intent to “isolate the dollars collected from rent increases in the harbor area to ensure that they are expended only on capital projects instead of other tideland operations.” Projects include dredging, seawall improvements and improvements to public docks and other harbor amenities. The Newport Beach Dock Owners Association was successful in its request for State Sen. Mimi Walters (R-Irvine) and Assemblyman Allan Mansoor (R-Costa Mesta) to ask Lt. Gov. Gavin Newsom to delay the city’s call for the creation of the Harbor Fund, in order to have time to review how the money will be used and residents’ concerns about the plan. In an April 5 letter, Assemblyman Mansoor and Sen. Walters requested that State Lands Commission members not make a decision on the creation of a Harbor Fund until the litigation filed by the Dock Owners Association has been settled. They also expressed some residents’ concerns that the city’s Tidelands Fund has been mismanaged. On May 1, the Dock Owners Association provided both elected officials with a white paper to review, said Bob McCaffrey, chairman of the association. The association filed a suit against the city of Newport Beach on Feb. 12. The group alleged that the city council violated California’s Ralph M. Brown Act — designed to ensure open meetings — with a three-member ad hoc committee that allegedly met in private to update plans for increased dock fees and other harbor charges. In December, the city moved to increase private dock permit fees from the former annual $100 residential pier fee to a 52.5 cents per square foot charge, leading to a new annual charge for a majority of private docks at waterfront homes in the $300 to $700 range. Owners of larger residential piers now pay as much as $3,000 per year. While the Dock Owners Association characterized the fee increases as excessive and questioned where other fees paid into the city’s Tidelands Fund had actually been spent, the city said the increases were fair, and were mandated by state law to prevent the appearance of a “gift” of public tidelands to waterfront homeowners. The city also said the new Harbor Fund would add “transparency,” showing where dock fees were spent. Although the State Lands Commission delayed its decision, the city’s requested Harbor Fund was ultimately approved. McCaffrey said he believes that decision is still a “win” for the Dock Owners Association. “We are of the opinion that this (previous Tidelands Fund) has been a slush fund that has been charged for services that should have been charged to the General Fund,” McCaffrey said. “And, indeed, while they did approve (the new Harbor Fund), (the State Lands Commission) did put some chains on it, saying that the city can only shift $1 million — and by doing that, they need permission from the State Lands Commission. That has never been there before, so it will at least have some kind of eye on the fund, which hopefully will be protective in the future. “We got a major victory,” he added. In the meantime, the Dock Owners Association awaits its day in court. The city filed a demurrer, which seeks to dismiss the association’s suit for failing to state a cause of action. The demurrer will be heard at the Central Justice Center in Santa Ana.